Microsoft Surface team working on transparent metal smartwatch? 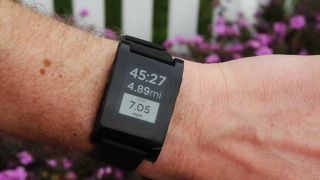 Did Pebble start it all? It seems pretty certain that those mythical Microsoft elves have been busy working away on a smartwatch, but the last we heard it was the Xbox team leading the way on the wrist-worn device. It now appears that the situation has changed, with new murmurings that Microsoft's Surface team has now been tasked with the responsibility of developing the wearable based on the Xbox bunch's original design. This design is said to include a heart-rate monitor, pushing Microsoft's potential smartwatch entry into the fitness wearable arena currently owned by the likes of Nike Fuelband and Fitbit Flex. The smartwatch, now under new management, is also said to be rocking a modified version of Windows 8 allowing for it to be integrated with other Windows-powered devices, which we suspect would include the range of phones, tablets and desktops. Right now, a look more in line with Windows Phone 8 seems a good bet. Other than that, we've also heard from AmongTech that Microsoft's watch may arrive in a spectrum of colours and could be cased in Oxynitride Aluminum, which is mostly transparent but tough as nails. The site also claimed that the watch will have 4G LTE and 6GB of internal storage. We also previously heard that Microsoft may have decided on a 1.5-inch display. Sounds like it's all coming together for Microsoft then. What's your situation, Apple?